Reverse mortgage ads, which target seniors, can be misleading, says a government study. Tell grandma not to believe those ads about reverse mortgages that promise free money. Rather than a tax-free ticket to financial freedom, she could end up losing losing her home. That's the message from the Consumer Financial Protection Bureau. The government agency unveiled a study that shows elderly homeowners are being fed misleading advertising about reverse mortgages that could lead to big financial problems. The study says that many homeowners do not realize that reverse mortgages are loans they eventually have to be paid back. They're confused by "incomplete and inaccurate" information from lenders, partly because they cannot or did not read the fine print on the ads shown on TV and the Internet. 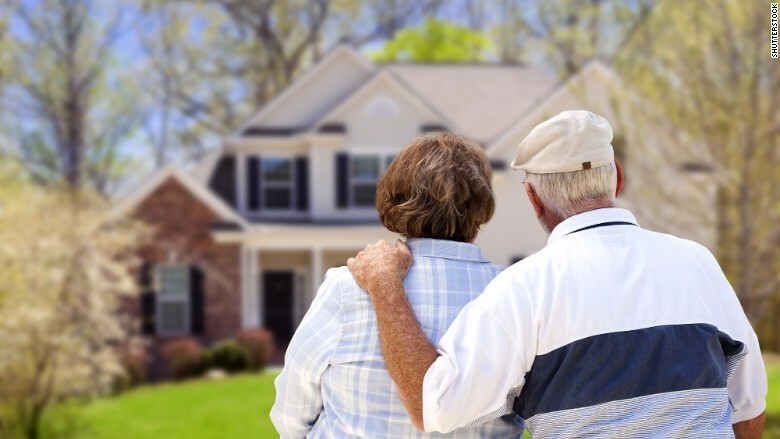 Reverse mortgages are loans that allow homeowners aged 62 or older to borrow against the equity in their homes and defer payment and interest until they move from the home, sell it, or die. The study focused on 97 ads from a variety of lenders that appeared in five large urban markets between March 2013 and March 2014. The study is also based on interviews with 59 homeowners aged 62 and older to get their impressions of the ads. The study said some homeowners "thought that because the money they received through a reverse mortgage represented home equity they had accrued over time, there was no reason they would have to pay it back." Some homeowners even thought that "having a reverse mortgage meant they could never lose their home." Both those ideas are misleading. The study points out that homeowners still have to pay property taxes, homeowner's insurance and maintenance, and failure to do so can lead to foreclosure. This is the type of information that appears in the fine print. But the homeowners are lured by images of elderly people enjoying a leisurely lifestyle on the golf course and the promises of tax free money. Also, the ads, replete with images of eagles and federal-looking seals, mislead the consumer by conveying, falsely, that the mortgages are backed by the government. But they aren't. The ads sometimes use respected individuals to get their point across. One of the homeowners told the interviewers, "When it's a former Congressman endorsing it, it makes it sound like a good idea." The study suggested that the problem could get worse going forward, "with 20% of the U.S. population reaching age 65 and older by 2030." The study said that many of the elderly are increasingly likely to consider tapping their home equity to supplement their retirement income, which is why it's important that advertisements do not confuse or mislead prospective reverse mortgage borrowers about the terms and potential risks of the loans.